Got a bloody nose? Perhaps you’ve been doing one of the following. According to Mayo, this and the aforementioned dry air are the most common causes of nosebleeds. MedlinePlus, a website of the National Institutes of Health, doesn’t specifically mention face swapping – it just refers to facial or nasal surgery. But can you think of a more fun facial surgery example than the 1997 action film Face/Off starring John Travolta and Nicholas Cage? Of course, Mayo says that the common cold can also cause nosebleeds. And MedlinePlus says that blowing your nose very hard can cause a nosebleed, too. So basically, if you have a cold, be careful, and watch out for a bloody nose. Mayo says a foreign body in the nose can cause bleeding, but the nose flute does not look dangerous on that front. However, playing a nose flute near people will almost certainly increase your risk of getting punched in the face. 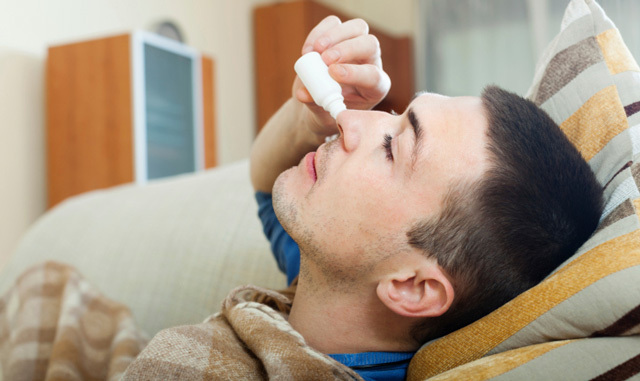 If you have a nosebleed, Mayo Clinic recommends sitting up, leaning forward, and pinching your nose. MedlinePlus says you need medical attention for a bloody nose if the bleeding lasts over 20 minutes, you think your nose may be broken, or you’ve sustained a head injury. Once you decide to seek medical help, your choice is clear: you could sit around waiting in an emergency room, or you could get speedy medical attention at FastMed Urgent Care, where the average visit time is just an hour. Nose bleeding as you read this article? Think you might need treatment? Find your nearest FastMed Urgent Care location and come on by.